Chapter 3 Where do I Start? Chapter 4 What do I Need? Chapter 11 Great Surf Session! Now What? Here are two of the best Human/Canine surf teams out there! 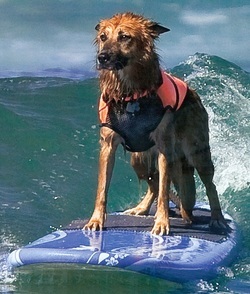 Copyright So Cal Surf Dogs- Home of the Worlds Best Surf Dogs - 2010 All rights reserved. Nothing may be copied or reproduced from this site without prior written approval of the owner.